Although I love agriculture, I chose not to get an agricultural specific degree in college. I chose to go to a college for my undergraduate degree that didn’t even have an agriculture program on campus, but that didn’t mean I left agriculture behind me. I brought it with me to school. For as long as I can remember, I wanted to be a vet. It made sense to me. 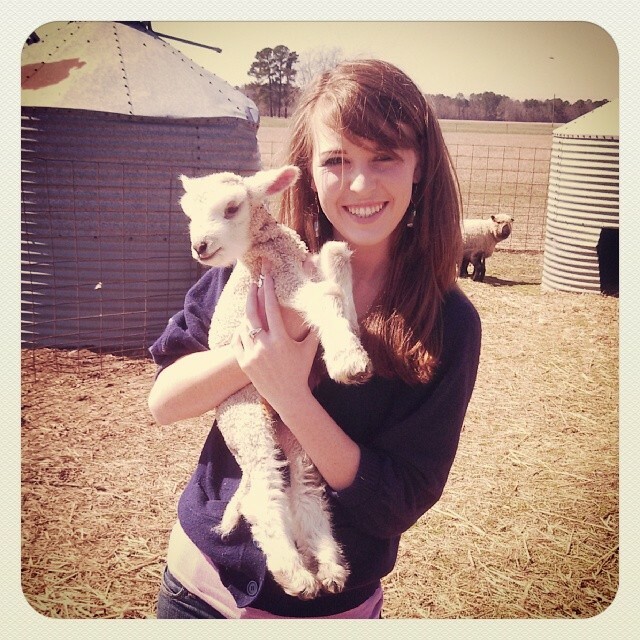 I loved animals, and loved working with all the livestock on my farm. Despite passing out at the sight of blood, I still was determined to go to vet school. I had it all planned out. 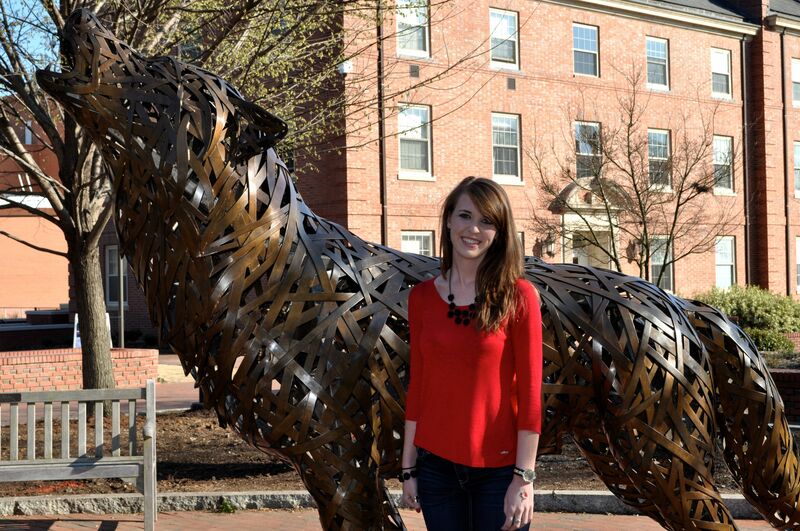 I would attend North Carolina State University and double major in animal and poultry science. I’d graduate and then head to vet school to specialize in large animals. In high school, I was in preparation mode. I went to any animal and poultry science camps I could go to. I was taking advanced chemistry, but one day, my fast track came to a screeching halt. I couldn’t tell you the exact day, but I came to the realization that I hated science and math. I got queasy at blood, and I didn’t want my passion of animals to become something that I viewed as just work. So, I did something incredibly scary–I changed my entire future plans. I didn’t even keep the same college I had planned on. I went out on a limb, and it ended up being the best thing of my life. 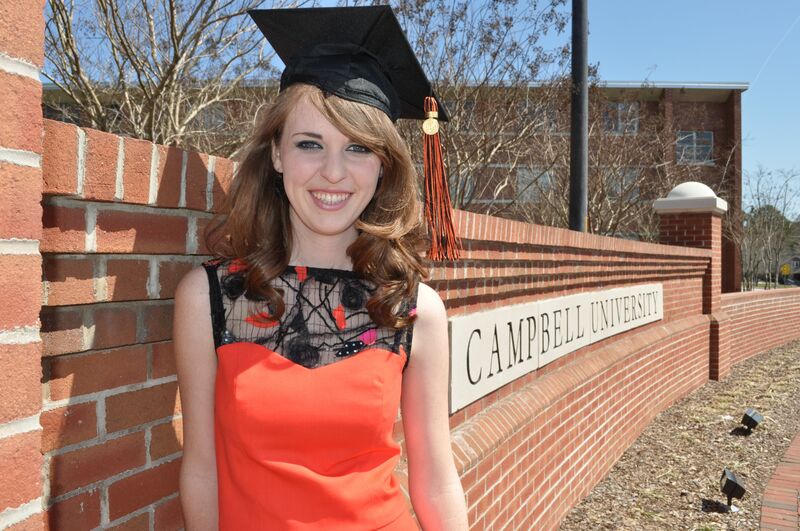 My new chosen major was communication at a small rural liberal arts college–Campbell University. I fell in love with both the campus and the major. I chose to concentrate in public relations and health communications. Although I was not in an agriculture degree, I brought the ag with me. I wrote as many papers as I could on communication in agriculture. My honors thesis was about creating transparency in the ag industry. I was even able to go New Orleans to present that paper where many in the audience asked me about agriculture. They were inquisitive, and I was in a position to answer those questions which was super exciting! After graduating from my undergrad, I decided to go on to get my masters in communication. Although, I looked at degrees that were specifically agriculture communication, I chose to go to North Carolina State University (this time I was not looking at animal science). I am currently in my second semester there, and have written every research paper on agriculture communication. While I love communication, it has been a bit bumpy at times incorporating agriculture into my studies. Typically, I am the only one with my interests. Often times I have to explain things, that to me are common knowledge. My papers often turn into a bloody mess from comments asking for elaboration on a term and to cite more. I also get a lot of comments that I sound like I am a public relations person for agriculture. I suppose, in a sense, I am. My passion just comes through. Thankfully, all of my professors have been open minded and really supported my interests! While it can be frustrating to explain a lot of what I write and really work hard to explain my concepts, it has also meant I have been able to share my knowledge and passion with others. In both undergrad and grad school, I have had professors make an effort to visit me at the fair to watch me show animals and learn more about what I do. I have been able to stand in front of audiences and be a”public relation” person for ag, and answer questions. I have had the chance to hear what other people think about agriculture and try to understand that point of view. That has been an amazing aspect of majoring in a non-agriculture major–the discussions that have developed. So, no, I didn’t major in agriculture. As much as I love it, that was not the path for me. I chose to bring the ag with me to college, but that has been the best decision of my life. Sure, it has been a bit bumpy, but I have been able to share my passion with more than my fellow farmers. I brought agriculture to the classroom, and I hope to bring more communication to agriculture.